Baruna Silver offers a traditionally crafted solid silver bracelet to collect your charms and a knotted synthetic bracelet with silver rings in which you can clip in the charms. The knotted bracelet with silver rings is a more casual way of wearing the charms. 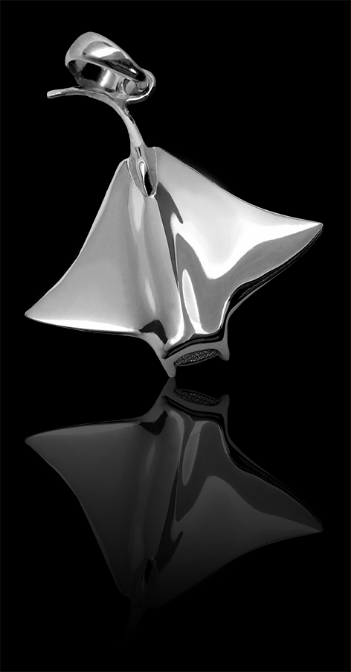 Capped with a silver lobster, the Baruna Silver rubber cord is a stylish way to wear our pendants. Wear it as a necklace, or wrap it around your wrist or ankle to create a bracelet. Then, choose a pendant or a charm to adorn your cord. Our rubber cords measure either 2mm or 3mm in diameter. If you love our silver charms dangling from your ears, choose Baruna Silver's classy earrings and add the charm of your choice. For those of you who are already addicted to the Pandora® bracelet style, we created an adapter charm. Now you can add Baruna Silver charms to your favorite bracelet Pandora or other European style bracelets to remember the very moment. Our exclusive key-chain also makes a beautiful gift, and is an excellent way to remember your diving experiences. 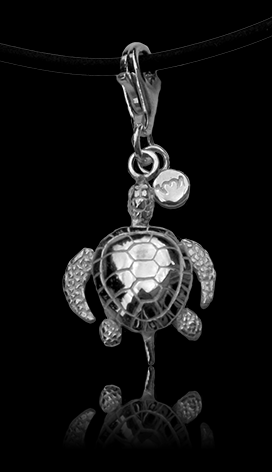 Choose any of our charms to adorn your key-chain. Make a memory every time you open your front door.